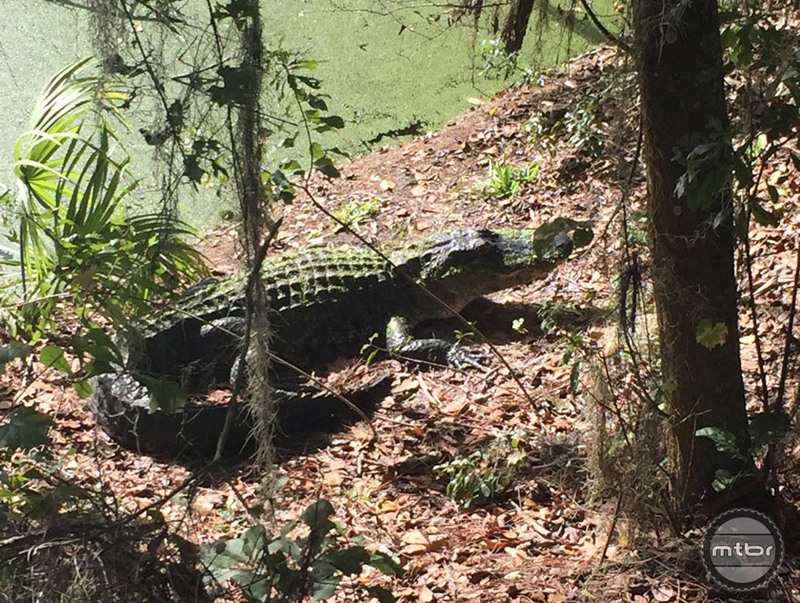 Florida trail offers host of techy challenges — and GATORS! 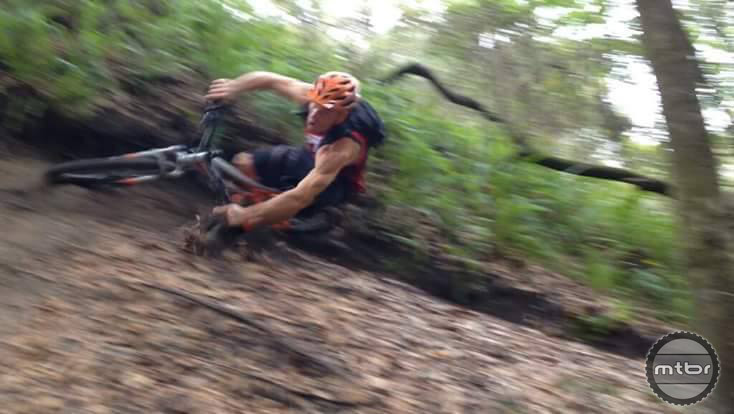 When you come into a short steep climb you want to focus on carrying speed. Dumping all your gears at the bottom will kill your speed and won’t make for a smooth transition. 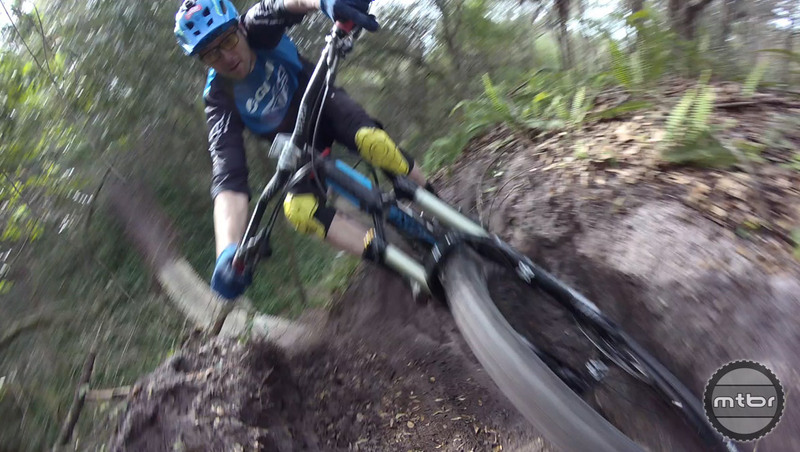 Check out the latest video from Jeff Lenosky’s Trail Boss Series, this time coming to you from Lithia, Florida, just outside Tampa Bay. 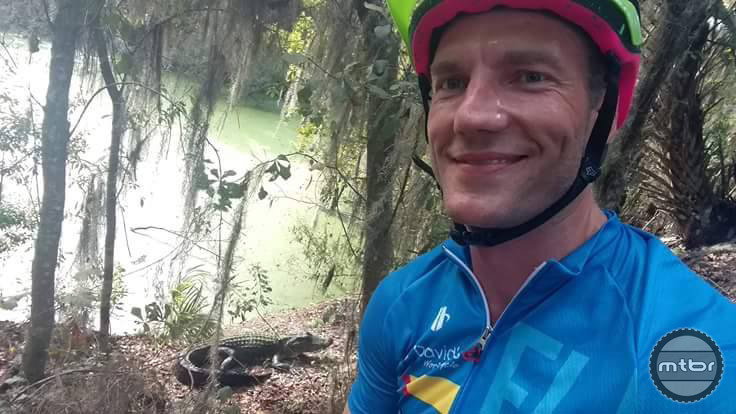 In this episode the ride zone is Gravitron, a newer trail located at Alafia River State Park. Like Jeff mentions in the video, there’s nothing on the trail that is particularly difficult to ride if you’re a proficient jumper and dropper, but linking everything together and hitting all the tight downhill-to-uphill transitions can be a real challenge. Watch and learn. A veteran rider with a 20-year professional career and three Observed Trials U.S. National Championships to his name, Jeff Lenosky uses his skills to ride the unrideable in Trail Boss. When you ride an entire trail you may feel like a Boss, but without the proper skills Mother Nature can quickly remind you who’s really in charge. This video series explores some of the most technical trials around and provides tips so you can become a Trail Boss, too. Besides a host of jumps and ledges, best keep an eye out for this guy. Here are his top 3 tips for this trail. 1. Gravitron is short and sweet, perfect for taking multiple laps. Taking a sight run the first time through and familiarizing yourself with the features will definitely help you feel more confident and allow you to carry the speed and momentum needed for the short steep climbs. 2. When you come into a short steep climb you want to focus on carrying speed. Dumping all your gears at the bottom will kill your speed and won’t make for a smooth transition. Ease up slightly on your pedal force and drop one or two gears every couple pedal revolutions to keep you moving. 3. This trail is super slick when wet and can be sandy when it’s too dry so avoid those conditions. You want to focus on staying loose so you can adapt and react to changing trail conditions and stay on course throughout the bench cut singletrack littered with jumps and turns. To learn more about the Gravitron Trail and other area rides, head to www.mtbproject.com. Check out previous Trail Boss episodes here and here. Getting after it on Gravitron.